Behavior Frontiers is proud to announce that we are bringing our exceptional applied behavior analysis (ABA) treatment program and clinicians to Orange County, California. Our professional and highly skilled staff is NOW available to conduct intake assessments with your family to begin the treatment process. Please contact us at 714-656-0354 to find out more about our services and to schedule an initial appointment. Aliso Viejo, Anaheim, Anaheim Hills, Balboa, Balboa Island, Capistrano Beach, Casa Bonita, Costa Mesa, Coto De Caza, Cowen Heights, Cypress, Dana Point, Dove Canyon, El Modena, Foothill Ranch, Fountain Valley, Galivan, Garden Grove, Huntington Beach, Irvine, La Palma, Ladera Ranch, Lacy, Laguna Beach, Laguna Hills, Laguna Niguel, Laguna Woods, Lake Forrest, Las Flores, Leisure World, Los Alamitos, Marblehead, Midway City, Mission Viejo, Modjeska Canyon, Monarch Beach, Newport Beach, Newport Coast, Newland, North Tustin, Orange, Orange Park Acres, Orchard Hills, Portola Hills, Rancho Santa Margarita, Robinson Ranch, Rossmoor, San Clemente, San Joaquin Hills, San Juan Capistrano, Santa Ana, Seal Beach, Shady Canyon, Silverado, Surfside, Stanton, Sunset Beach, Trabuco Canyon, Turtle Ridge, Tustin, Villa Park, Washington Square, and Westminster. We are also a vendor of the California regional centers and a certified nonpublic agency through the Department of Education. Debra Ruff, or Debbie, received her bachelor of arts degree in psychology from California State University, Bakersfield and her master’s of science degree with a pupil personnel services credential from National University, specializing in School Psychology. She also completed her BCBA coursework through National University and has been a BCBA since 2011. Debbie has been working in the field of ABA for over 10 years. Her strengths include conducting assessments, educating families new to ABA, working with early learners, and time management. She has been trained in Applied Behavior Analysis (ABA) using Discrete Trial Teaching (DTT), Pivotal Response Training (PRT), Natural Environment Training (NET), Picture Exchange Communication System (PECS), Functional Communication Training (FCT), and Verbal Behavior (VB), as well as several assessment measures. Debbie is passionate about delivering ABA services to young children and educating related professionals about the importance of early intervention services. She strongly values a team approach by including parents and collaborating with related professionals. Kristal Bates received her Master’s of Education in Educational Leadership from Azusa Pacific University. She completed course work to become a Board Certified Behavior Analyst (BCBA) from Florida Institute of Technology. She has been a Board Certified Assistant Behavior Analyst (BCaBA) since May 2012 and a BCBA since February 2014. Kristal has been working with children with disabilities since 2009. She is dedicated to providing highly effective and reliable ABA services to individuals with autism and special needs. Kristal has extensive knowledge in Applied Behavior Analysis (ABA), Verbal Behavior (VB), Pivotal Response Training (PRT), Discrete Trial Training (DTT) and Natural Environment Training (NET). Kristal’s professional emphases and strengths are in effective management and leadership procedures, curriculum development, functional behavioral assessments and early intervention. It’s very inspiring to be a part of a team that is devoted and compassionate about children and their families. My philosophy is together with the family develop and a build an individual support system for each learner that allows them to be motivated to reach their fullest potential and live the best quality of life. Sara Yanez completed a bachelor's degree in psychology from California State University, Fullerton, and completed a master's degree in education from Arizona State University, specializing in applied behavior analysis. She has worked in the field of ABA since 2006 and has been a board certified behavior analyst (BCBA) since September 2012. Sara has experience implementing and supervising ABA services in a variety of settings, such as school districts, clinics, community settings, and in home. She is trained in discrete trial training (DTT), verbal behavior (VB), picture exchange communication system (PECS), functional communication training (FCT), and natural environmental teaching (NET) methods. Her experience and professional strengths include social skills groups, assessments, curriculum development, and early intervention. Sara tackles all of her cases with a high level of dedication, care, and sensitivity. She enjoys working as a team to help clients achieve their goals. Jaimee Munson received her bachelor of arts degree in Psychology from California State University, Long Beach and her master’s of arts degree in Psychological Research from California State University, Fullerton. She has worked in the field of ABA since 2010 and has been a board certified behavior analyst (BCBA) since May 2017. Jaimee has experience working with clients diagnosed with a variety of disabilities including Autism, ADHD, Anxiety, and Down Syndrome. She is trained in natural environmental teaching (NET) methods, discrete trial training (DTT), verbal behavior (VB), picture exchange communication system (PECS), and functional communication training (FCT). 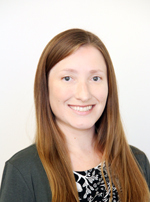 Jaimee oversees clinical operations in the East Orange County region and is passionate about helping each child and family reach their greatest potential through Applied Behavior Analysis and team collaboration. She strongly supports individualized programming and teaching skills that are functional and socially significant. Alisa Chu began her career in the field of Applied Behavior Analysis in 2011 working as a Behavior Technician with children and teenagers diagnosed with autism. Shortly thereafter, she was promoted to Case Manager/Supervisor for Early Start services, specializing in assessments and programming for children three years old and younger. Throughout her career, Alisa has supervised ABA programs for individuals with autism ranging in ages from 10 months to 25 years. She graduated from the University of California, Riverside with a Bachelor's Degree in Psychology and furthered her education by receiving her Master's Degree in Applied Behavior Analysis from Ball State University. In February 2016, Alisa became a Board Certified Behavior Analyst (BCBA). She is trained in discrete trial teaching (DTT), natural environmental teaching (NET), verbal behavior (VB), functional communication training (FCT), theory of mind training, executive functioning, and social skills. She is dedicated to providing high quality services for individuals with autism by helping them meet their milestones and gain skills that will help them at every stage of life. Tara Haggerty received her Bachelor’s degree in Psychology from Le Moyne College, Syracuse NY, and completed her MA in Psychology-Clinical Counseling from The Chicago School of Professional Psychology, Chicago IL. She has worked in the field of ABA since 2012 and has been a Board Certified Behavior Analyst (BCBA) since May 2017. Tara is trained in natural environmental teaching (NET) methods, discrete trial training (DTT), verbal behavior (VB), picture exchange communication system (PECS), and functional communication training (FCT). Her experience and professional strengths include: early intervention, curriculum development and parent education. Tara is dedicated to using a team approach and collaborates with other service providers, parents and members of the clinical team to implement high quality, individualized programming. She is passionate about providing high quality, individualized programs and services.